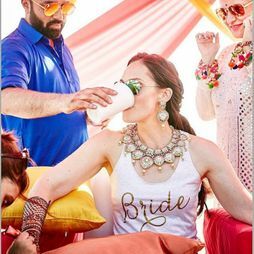 2019 is upon us, and if you're looking for some new trends to rock on your upcoming big day, then who else to ask but WMG? 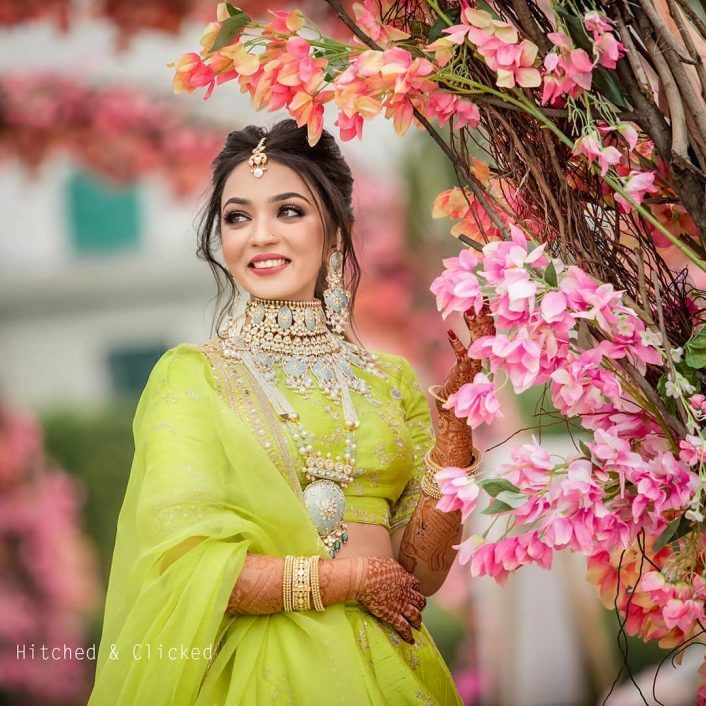 And with the Mehendi becoming such an important function for brides these days, we thought we'd dish out some cool new mehendi jewellery trends we spotted, which are perfect for 2019! 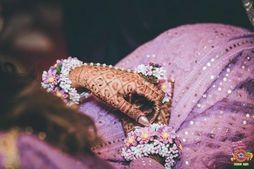 We predict enamel jewellery is going to be big in 2019 as it was in 2018, and especially so for the Mehendi! 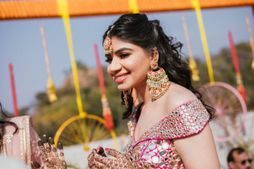 Usually we see brides rock pastel jewellery with pastel outfits, and bright contrasting jewellery with a bright lehenga. But how pretty does this unlikely combination look? 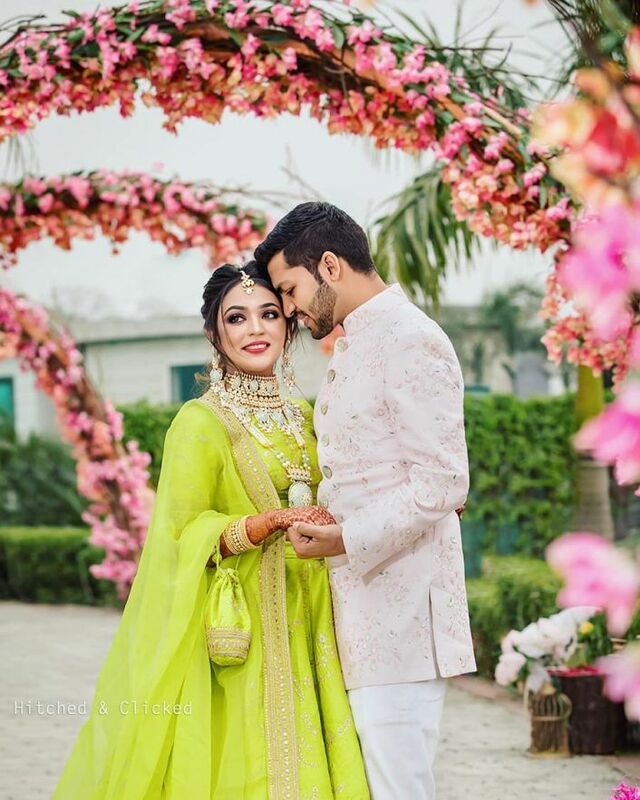 This bride paired her Sabyasachi lehenga in lime green with a pastel blue heavy jewellery set, and it looks uber pretty! Time to give those cliched floral wreaths a miss and opt for something more dainty (think Disney princess!). Wreaths with baby's breath- just that or maybe a few pretty flowers (small ones) looks so nice and refreshing! 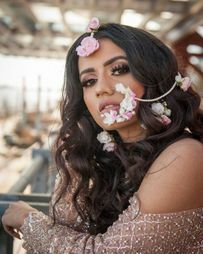 Opt for something like this in 2019 over the same old floral crowns with big flowers and leaves! Floral jewellery on the Mehendi has become pretty common now, but one way to stand out with it is to pair it with some diamond jewellery! We loved how this bride paired this pretty diamond set with her floral jewellery, and did not look like she was going overboard with it! 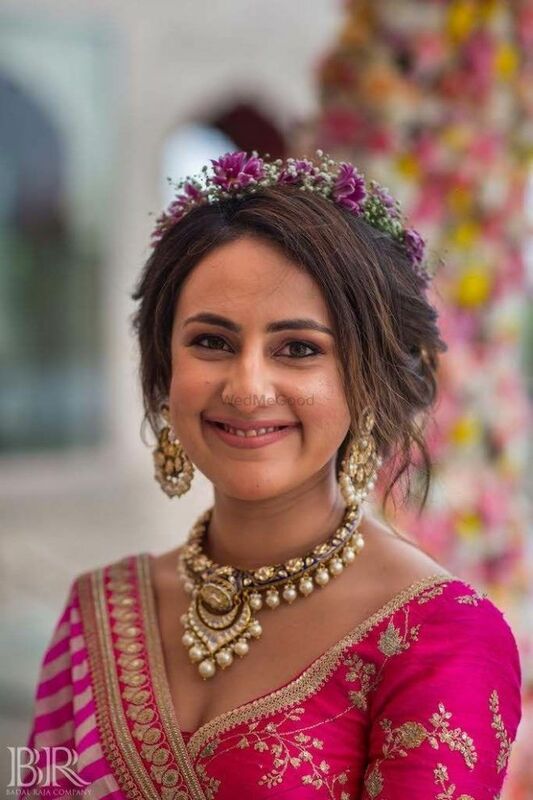 She kept the maangtikka, necklace and earrings non-floral, which actually made the pieces of floral jewellery she was wearing stand out beautifully! ALSO READ: The Prettiest New Mehendi Jewellery Ideas We Found In Shops Online! The Prettiest New Mehendi Jewellery Ideas We Found In Shops Online! Alternate Mehendi Jewellery Apart From Floral Jewellery! 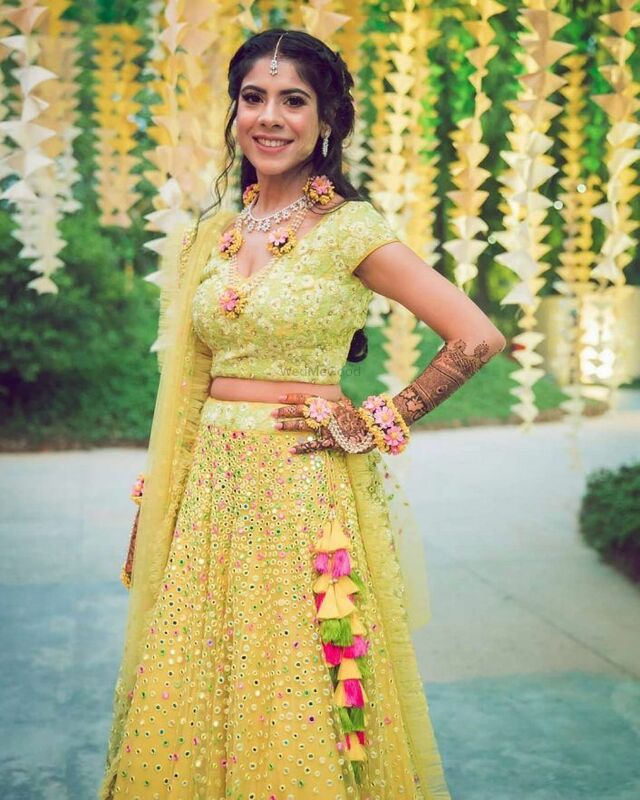 #Trending: Quirky Mirror Jewellery For Your Mehendi! 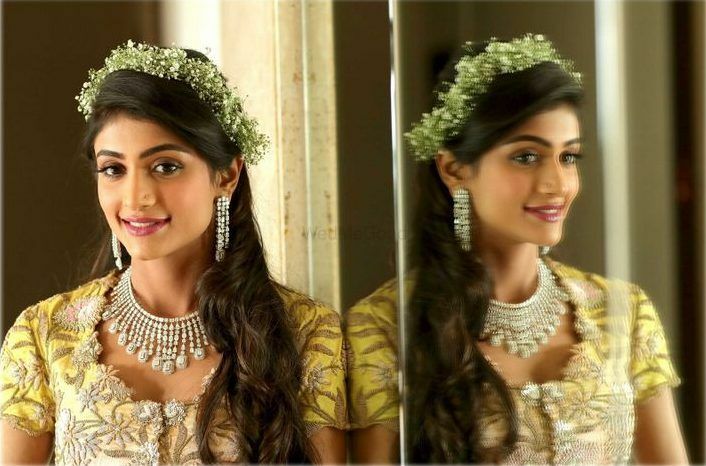 The Best Meenakari Jewellery Pieces We Spotted Online for Your Mehendi! 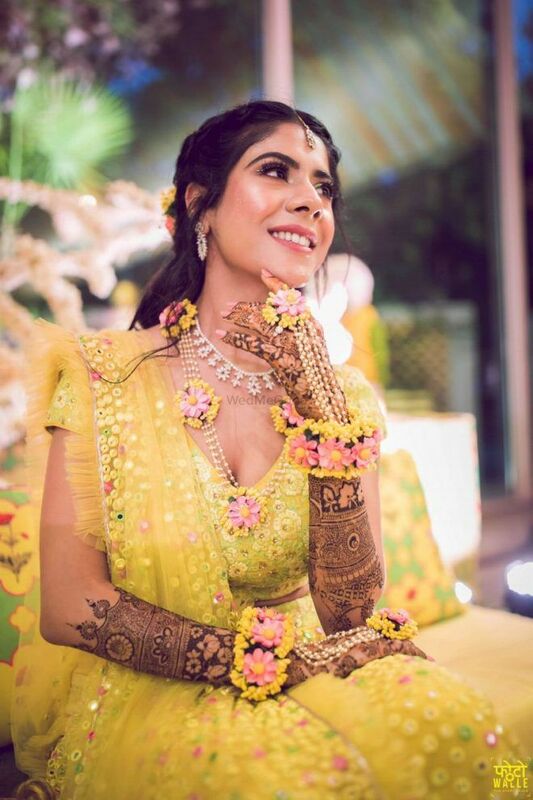 #Trending: Floral Jewellery Naths For Your Mehendi! Looking For Enamel Jewellery? Here Are The Best Labels To Hit!